Hey guys. Was out on Anna yesterday. Only able to fish a little from 9:30am-11:30am. Went up to Hunters to have lunch with a good friend, and when I got close and shut down...I got 4 beeps on the engine. Had lunch and fished around Hunters for a few minutes, before deciding to head in and take boat over the Anna Marine Center and have Will and crew check it out. It was low oil pressure. Cause? 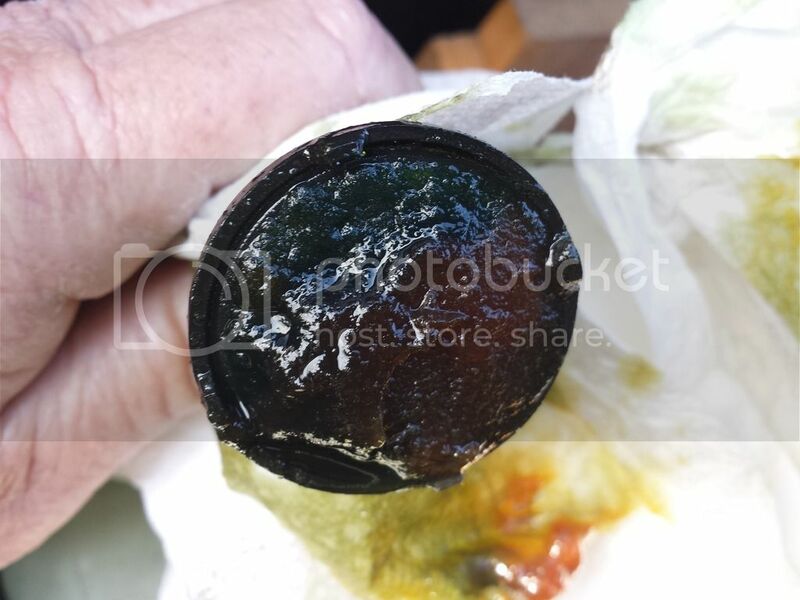 The pickup tube in the oil reservoir was completely clogged with gunk, thus the engine was starved for oil. New tube, tank and oil lines have been ordered. I have never thought of checking this tube. Do yourself a favor and check yours.